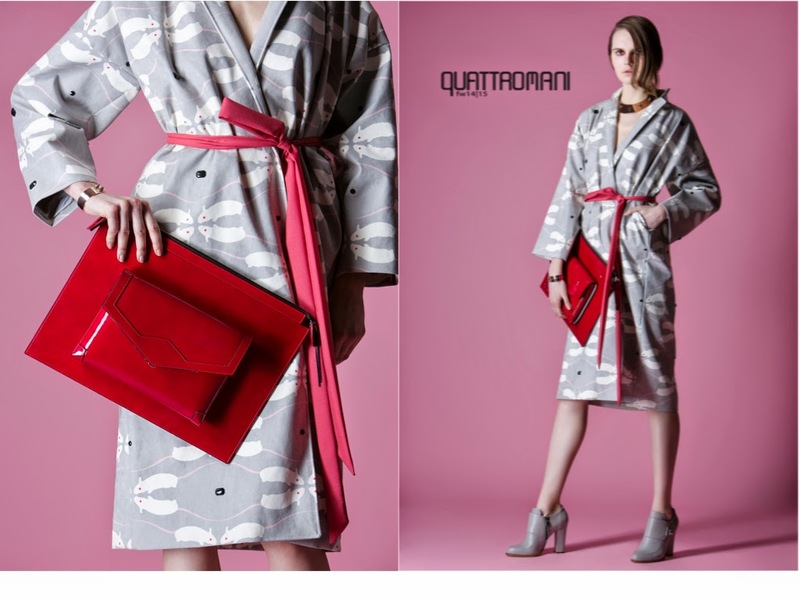 The Stylist Den: Quattromani FW 14-15 - The Lookbook. Linearita' della silhouette precisa e netta, che fascia ma non costringe; modernita' dei tessuti e dei colori, dal panno di lana tecnico al cady alla collaborazione con Alcantara, il tutto nei colori urbani del grigio, salvia e nero con lampi di colore; surrealta' data dalla stampa Muridae ( i topolini) ispirata all'artista Katharina Fritsch. Linearity, modernity,(sur)reality. These were my impressions and the post title soon after I had seen at AltaRoma in January Quattromani (aka Massimo Noli and Nicola Frau) FW 14-15 fashion show. Finally the lookbook is here to complete 'the experience'. In fact after having seen the clothes in movement and trying to capture in few minutes not only the mood of the collection but also the several details both of fabrics and silhouette and accessories ( about the latter in a paragraph below), in the pictures, with due calm, we can have a closer look at the looks. Linearity of the silhouette, precise and clean, that binds the body but doesn't clings to it, and changes from boxy tops to slim fit bottoms; modernity of fabrics and colours, from whool-blend cady to technical woolen and a collaboration with Alcantara, all in the hues of grey, sage green and black with falshes of colour; surreality in the Muridae print ( the tiny mice) inspired by the artist Katharina Fritsch. Ed eccoci agli accessori, altro punto forte del brand Quattromani. La classica clutch/piattina gia' presente nella collezione SS14 Third Dimension ora diventa maxi e doppia. Dalle foto non si vede ma...le due bag si possono attaccare e staccare. Nel backstage non solo le ho viste da vicino, ma i due designer avevano come bag personale delle borse da uomo, ovviamenete Quattromani. Io li ho incoraggiato a lanciare ufficialmente anche una linea uomo che secondo me non solo avra' successo, ma mi vedra' in prima fila per acquistarne una. I look sono compleati da cuff e collar della designer di goielli Giuliana Mancinelli Bonafaccia e dalle scarpe di Trenta 7 di Eleonora Moccia. Di queste altre due talentuosissime designer e delle loro collezioni Fw14-15 ve ne parlero' piu' avanti. Here we are talking about acessories, another strenght of the Quattromani brand. 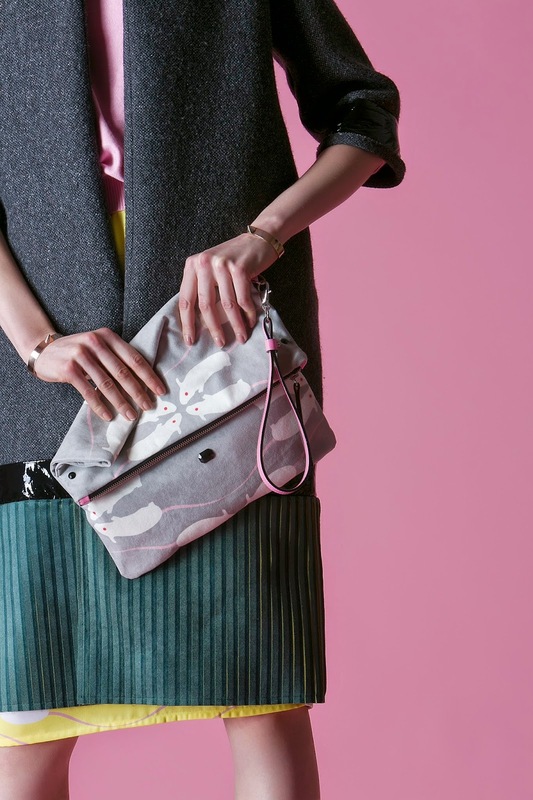 Their classic flat clutch, alreay seen in their SS14 collection Third Dimension now become maxi and double. You can't tell from the pictures but...the two bags can be attached and detached. At the backstage of the fashion show not only I had the chance to see them up close, but the two designers had as personal bags two men bags, by Quattromani of course. I did encourage them to launch officially a menswear bag line as, in my opinion it'll have not only a great success but it'll see me queuing to buy one. 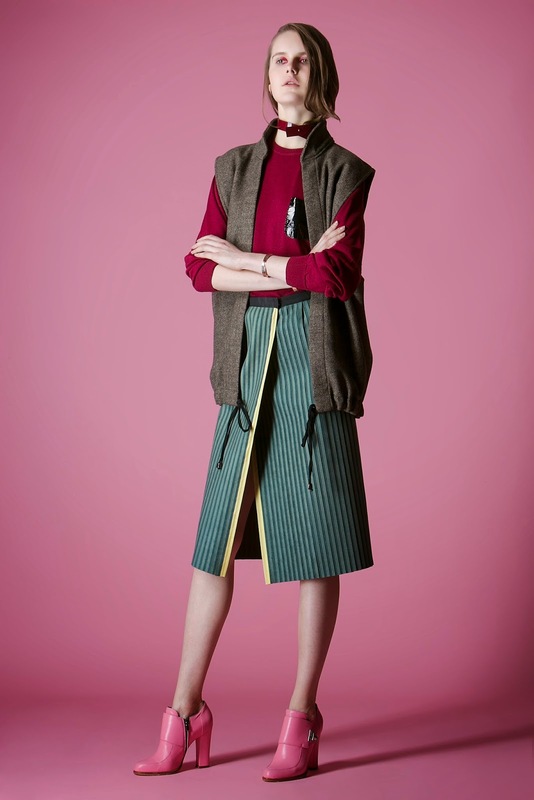 The looks are completed with cuffs and collars by the jewellery designer Giuliana Mancinelli Bonafaccia and with shoes by Trenta7 by Eleonora Moccia. 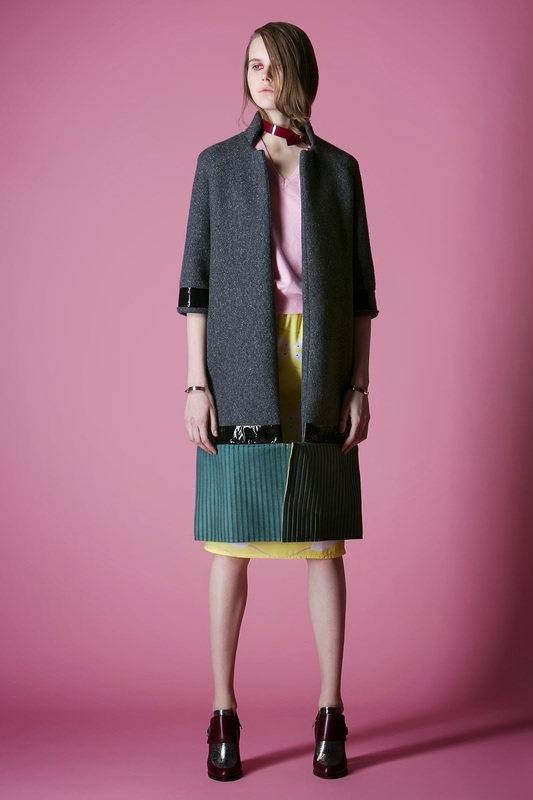 Of these two really talented designers and their FW14-15 collections I'll write later on.